International Space Station Expedition 44 Commander Gennady Padalka and Flight Engineer Mikhail Kornienko of the Russian Federal Space Agency completed a spacewalk lasting 5 hours, 31 minutes at 3:51 p.m. EDT. The spacewalkers rigged new equipment on the Russian segment of the complex and conducted a detailed photographic inspection of the exterior of the outpost. This was the 188th spacewalk in support of space station assembly and maintenance, totaling 1,177 hours, or the equivalent of 49 days. Padalka’s ten spacewalks total 38 hours, 37 minutes. 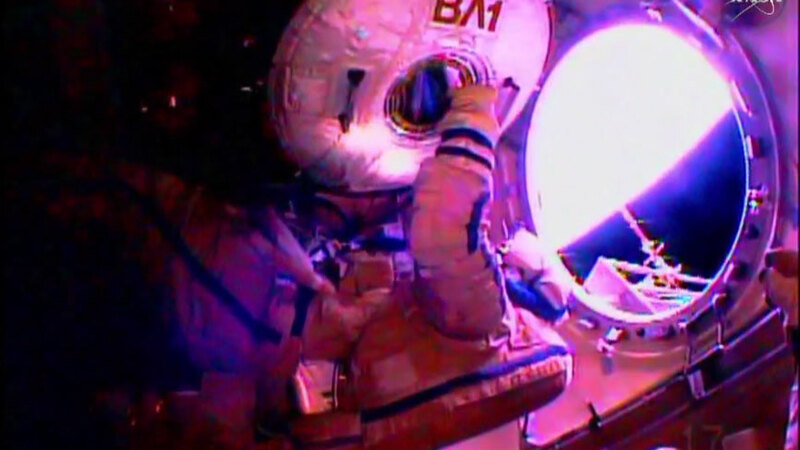 Kornienko’s two spacewalks total 12 hours, 13 minutes. While the cosmonauts were working outside the station, NASA astronauts Scott Kelly and Kjell Lindgren, along with Kimiya Yui of the Japan Aerospace Exploration Agency, sampled lettuce from the Veggie plant growth system on the International Space Station at 12:46 p.m. EDT. Lindgren first harvested half the crop and cleaned the “Outredgeous” red romaine lettuce. NASA is maturing Veggie technology aboard the station to provide future pioneers with a sustainable food supplement — a critical part of NASA’s journey to Mars. This is the first time a station-grown crop has officially been on the menu for station crew members. The remaining lettuce will be frozen on the station until it can be returned to Earth for scientific analysis. Good to see humanity living together and sharing ideas for the benefit of human kind even if our politician don’t . fresh faces on respective mission and attract us. I am filled with lots of these surprise and discovery! I am so happy. Very thanks. I am looking forward to these mission for always. the issues of future life of humanbeings. I will buy it soon definately! It is so nice Green oasis in space garden! Since it can also remove carbon dioxide.